#Decided : Wavinya Ndeti dealt a big blow by IEBC after they canceled her Wiper party Machakos Gubernatorial bid. - Bana Kenya News, Real African Network Tubanane. Home News #Decided : Wavinya Ndeti dealt a big blow by IEBC after they canceled her Wiper party Machakos Gubernatorial bid. #Decided : Wavinya Ndeti dealt a big blow by IEBC after they canceled her Wiper party Machakos Gubernatorial bid. The Machakos wiper Gubernatorial aspirant Wavinya Ndeti dealt a blow after the IEBC nullified his wiper nomination citing that she is a member of two Parties. The IEBC canceled her gubernatorial bid papers accusing of party malpractices. MCA Peter Kyalo filed a petition saying Ndeti is a member of Wiper Party led by Kalonzo Musyoka and her Chama Cha Uzalendo. "This committee has acknowledged submissions from both parties and has come to the conclusion that the complaint has merit and is therefore allowed,"Commission Chairman Wafula Chebukati said on Thursday. Kyalo noted the politician is a candidate for governor on a Wiper ticket yet she is still CCU's leader and member. He said the party allowed a stranger to engage in its primaries in violation of the Elections Act. The tribunal further heard that Ndeti became a member of Wiper on April 6, a day after the defection deadline and that her nomination was irregular and unlawful. Wavinya Ndeti dismissed the allegations made before the tribunal, saying her nomination was valid. She further argued through her lawyer that she was not a member of CCU. The politician had asked the committee to drop the complaint, which she termed witch-hunt aimed at reopening issues previously determined by the tribunal. 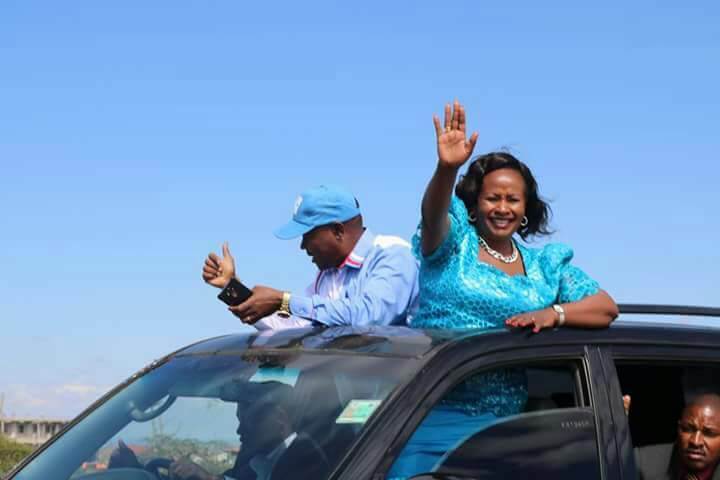 Wavinya Ndeti was declared a winner after a rematch upon Deputy Governor Bernard Kiala. The Gubernatorial aspirant went to court today to block the IEBC from removing their name after it was gazetted. The IEBc will be a big blow when Wavinya Ndeti wins the case tomorrow. According to the people on the ground, they termed the action by the IEBc as a well organized political mischief to rig out Wavinya Ndeti in order to get back the incumbent Governor Alfred Mutua who supports Jubilee party.